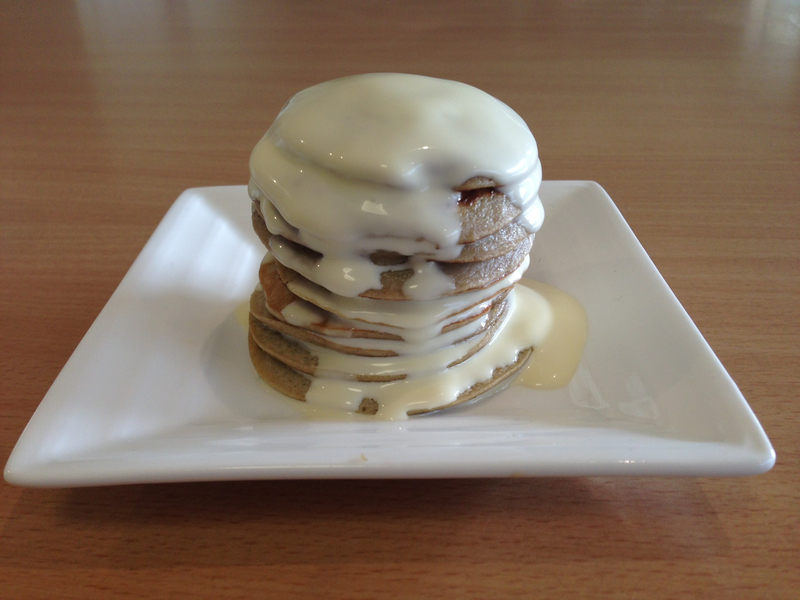 My friend Victoria posted a link to this delightful recipe during the week and I was genuinely intrigued by it – pikelets made using only eggs and bananas? I had to try them. This morning provided the perfect opportunity: waking up to an overcast, sleep in, pyjama type Saturday. 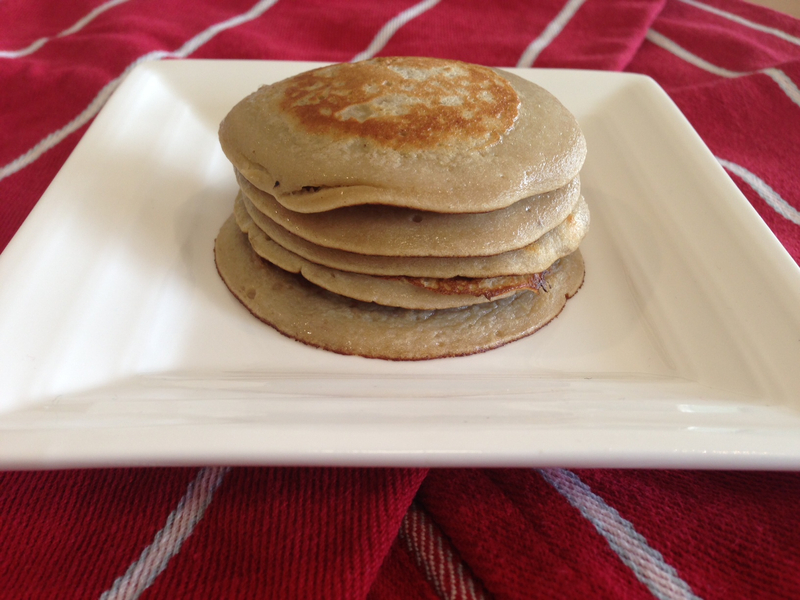 The kids devoured these healthy, protein rich, gluten free and diary free pikelets that contain no added sugar or carbohydrate – definitely my kind of breakfast or snack. The consistency of these on eating is a little more spongy than a standard pikelet, but it certainly isn’t a deal-breaker. If you prefer something a little sweeter, simply add some icing sugar to serve. These little babies would also make an excellent dessert for sugar-phobes, simply drizzle with cream – though I must confess to eating mine like this for breakfast. Makes 24+ and costs no more than $2. 1. Put slightly mashed banana and eggs in a mixing jug. 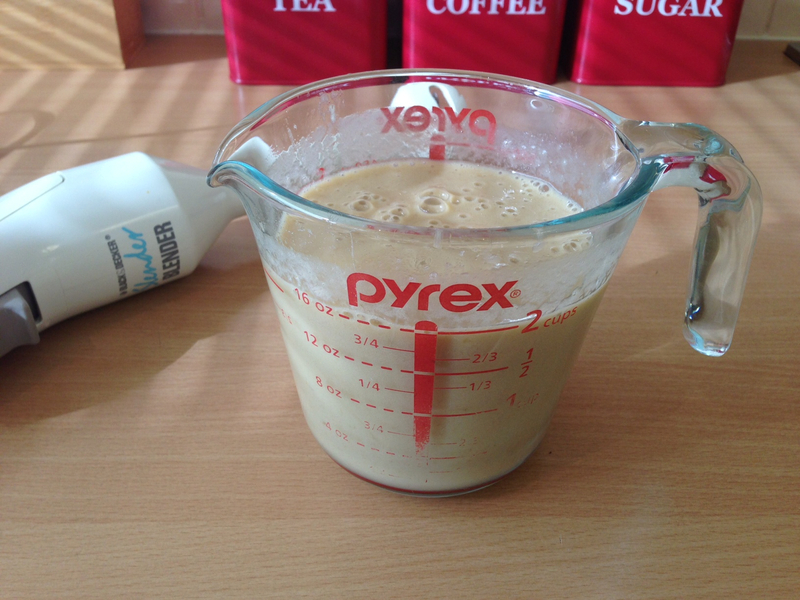 Using a stick blender, puree the mixture until completely smooth. 2. Pour small amounts (about the size of the lid of a jam jar) into a frypan set to medium/low. Use a small amount of canola spray before pouring. Cook each for a couple of minutes each side (though I do find the first side takes around 3 minutes and second takes less than one). Eat by themselves, with a dusting of icing sugar or with some runny cream.